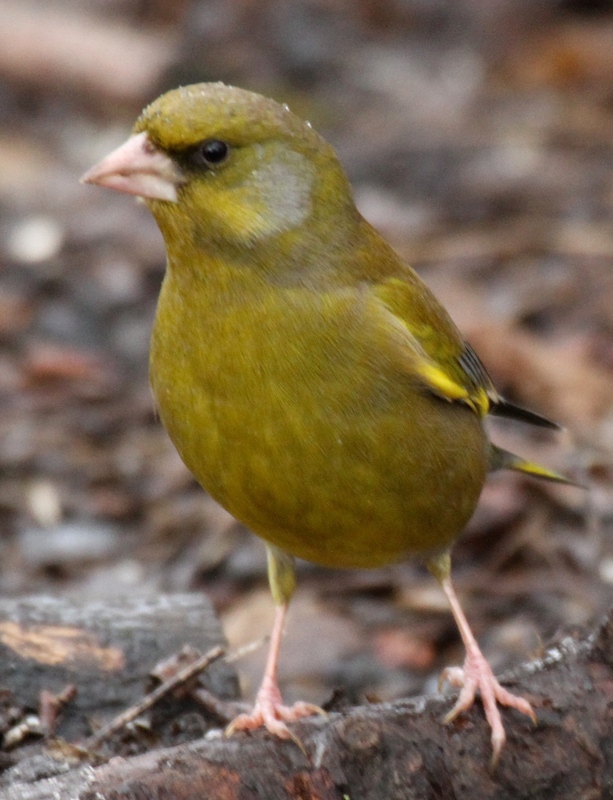 Male Greenfinch, looking duller here, in winter plumage. they are still striking. 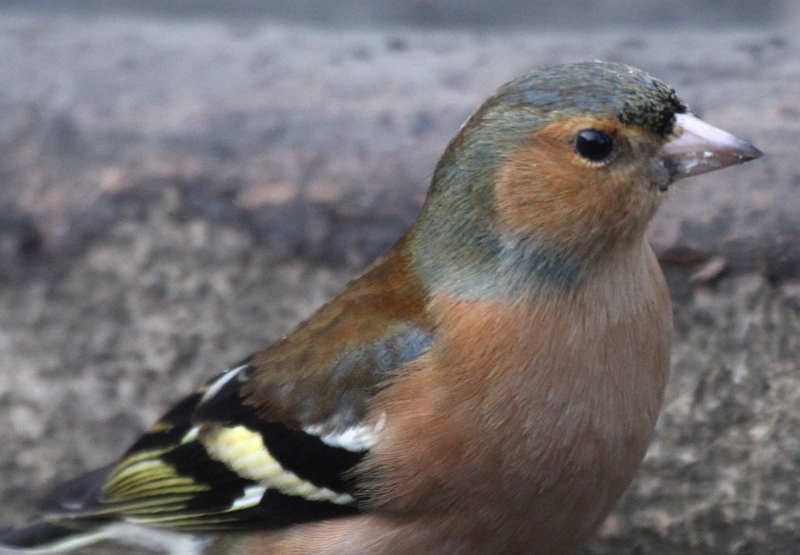 They are suffering from a parasitic disease which affects their ability to feed, and from the general loss of seeds on farmland, so need our feeders to support them through winter. 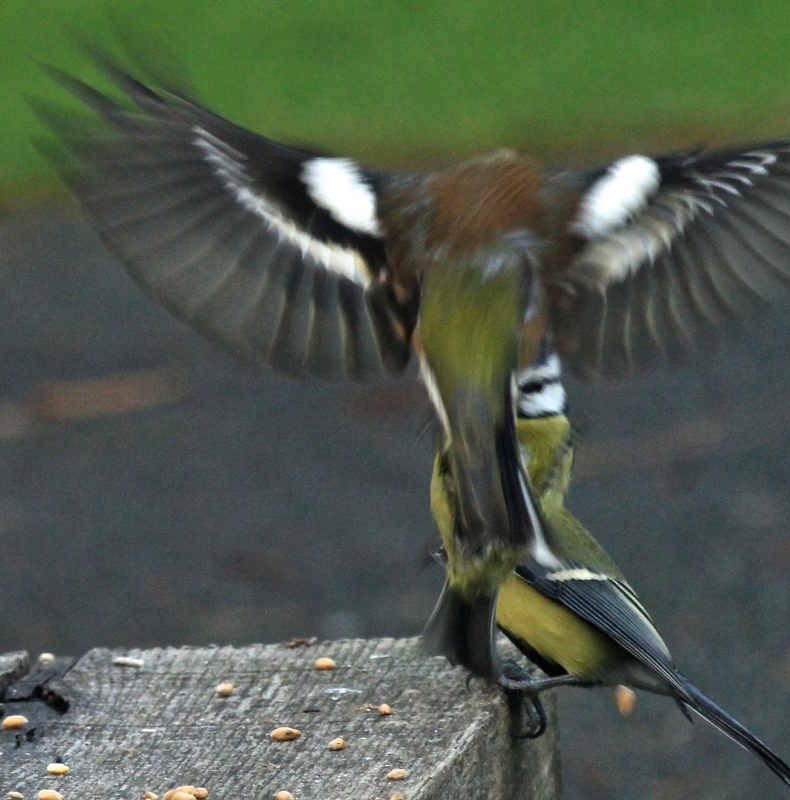 They often turn up in mixed flocks, benefitting from other birds ability to seek out food-sources. 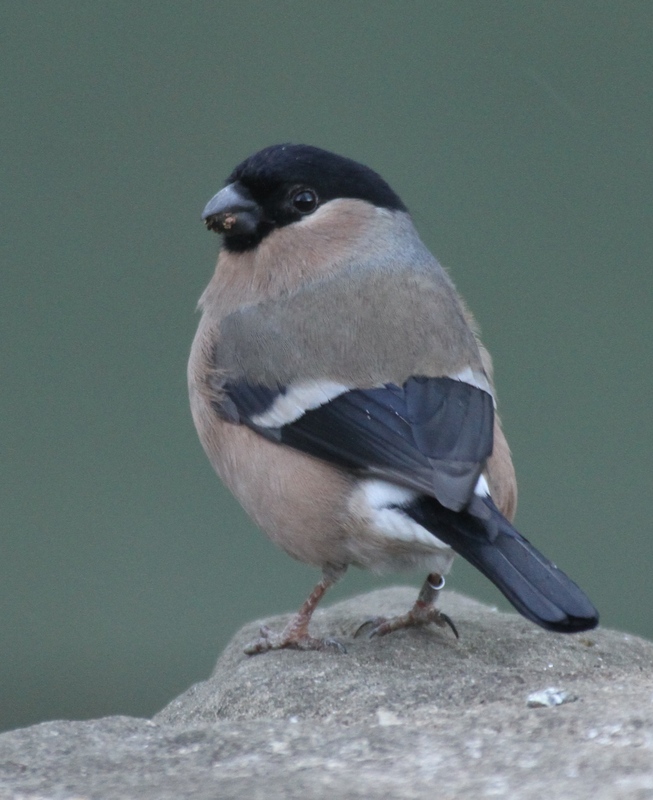 Bullfinches have a more varied diet so tend to do better through winter. 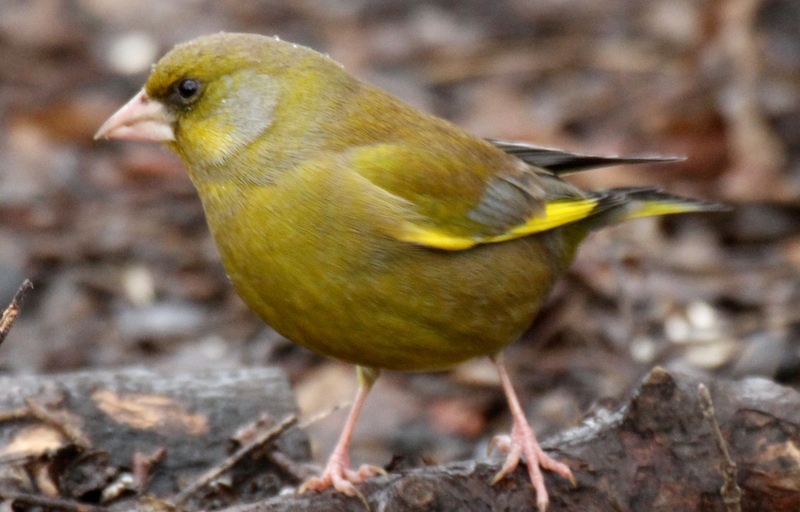 They will eat seeds from birch, rowan, bramble, heather, nettle, ash and many other sources. Their ability to digest cellulose means they can also feed on buds– favouring fruit trees in the wild and cultivated. Conditions: Some flurries of snow, dummy intervals and showers. Temperature: Max 4- Min 1c. 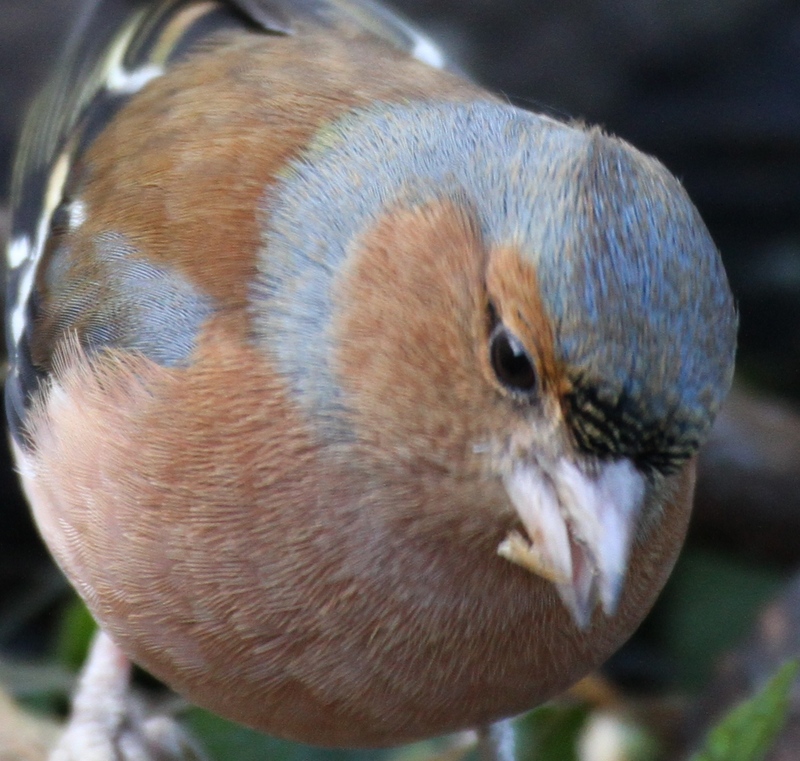 Male Chaffinch’s heads become much brighter blue than this in the breeding season. 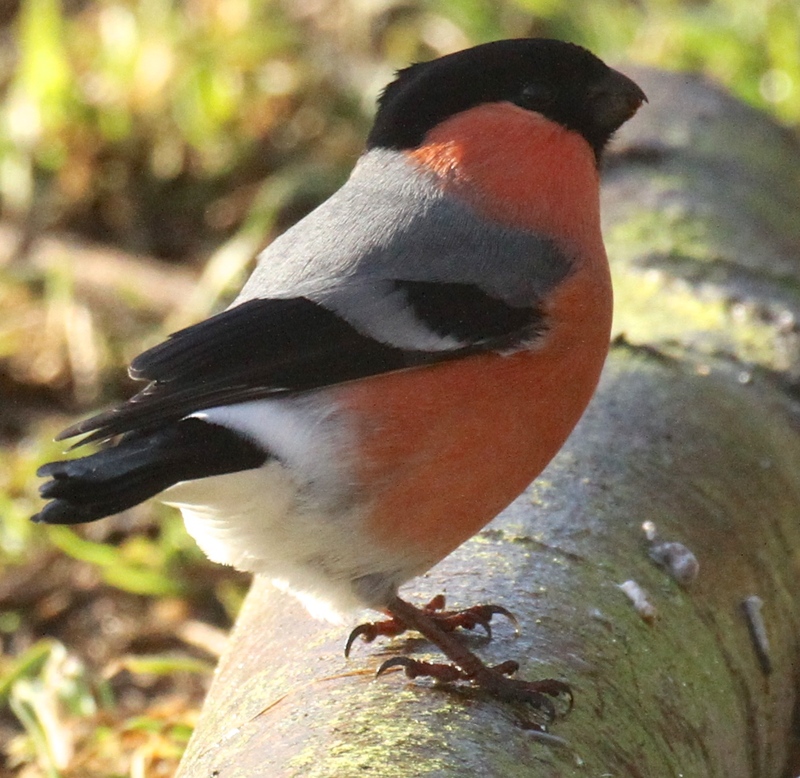 couple of days ago, even in winter the males are still very colourful birds. Their caps are greyer, only becoming pure blue as their feathers moult for the breeding season. In the 1800’s males were kept in cages and used in a gambling singing competition, a pastime thankfully no longer pursued! Conditions: A dry, sunny, cold day. Temperature: Max 3, Min 0c. 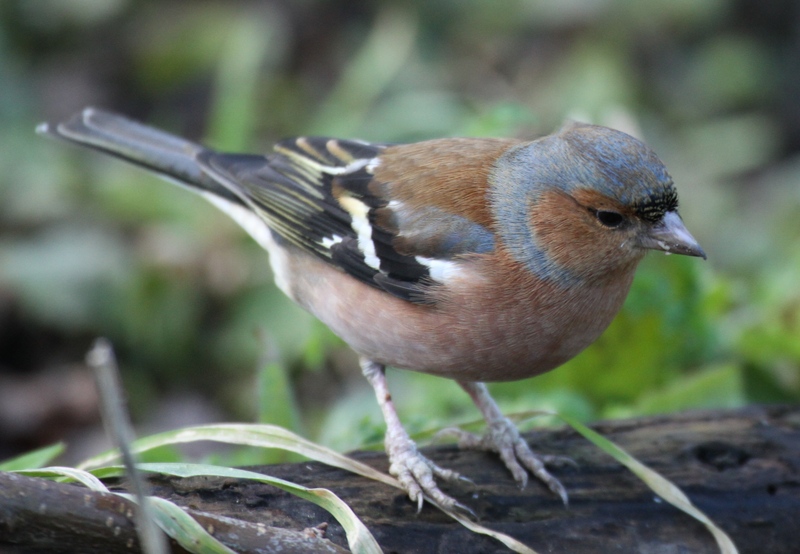 Winter or summer, male or female, the wing pattern, with its white flashes, is always distinctive in Chaffinches. Yesterday in the hail at Old Moor the Goldfinches were wonderful, so, having struggled through lovely snow on the way to the station to come back to Sussex today, I’ll let the Goldfinches speak for themselves. Conditions: Snow overnight and through the morning, looking great. 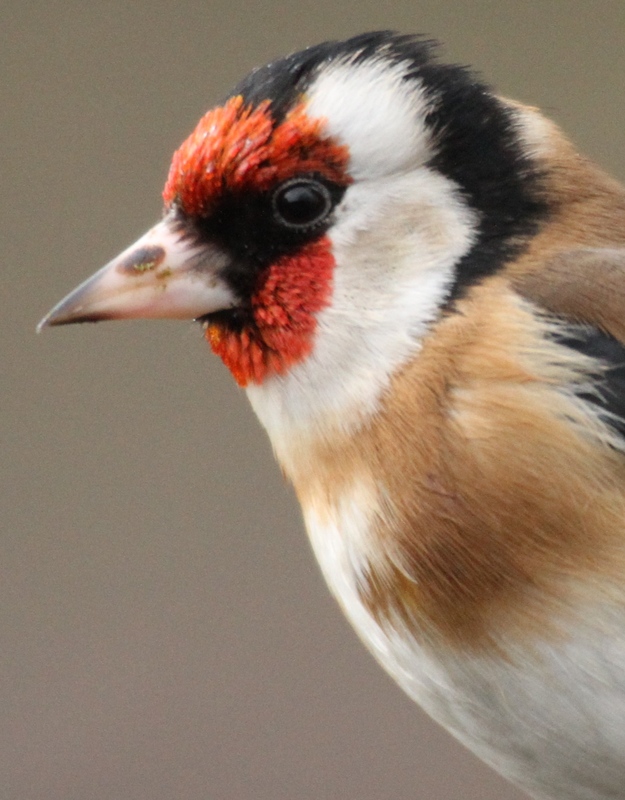 Temperature: Max 2 Min -2 C.
Several Goldfinch were feeding in the Old Moor garden, some squabbling! 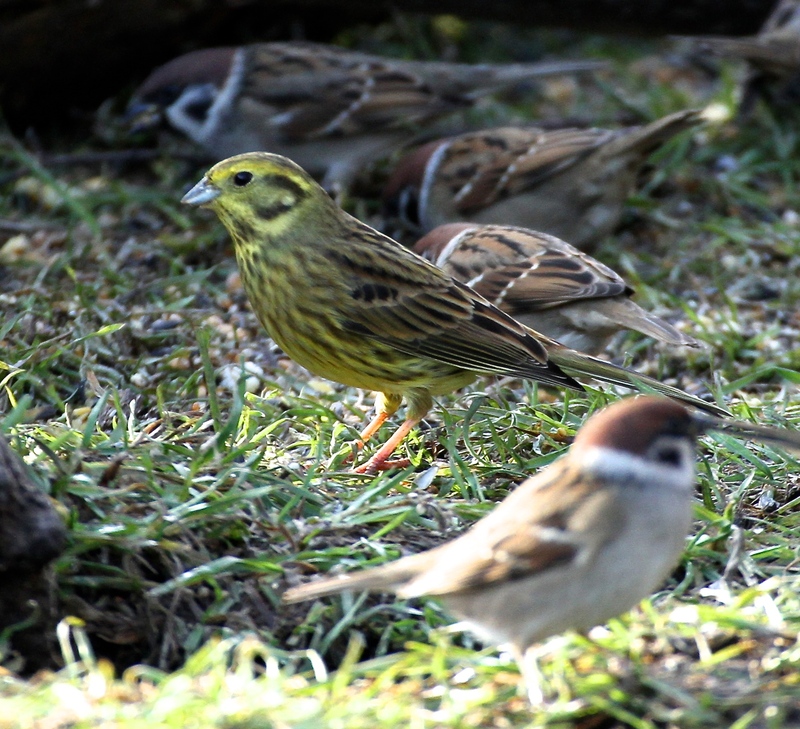 In winter they feed in mixed flocks, appropriately here they are with Tree Sparrows at Tree Sparrow Farm! many overwintering at Old Moor RSPB reserve near Barnsley. 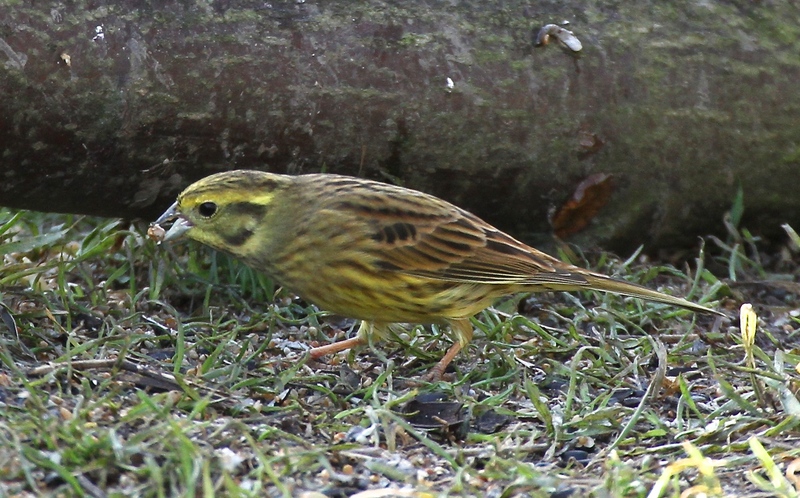 Amongst the showers of hail, and battered by gusty wind, we saw many birds here today but the Yellowhammers were the biggest treat. 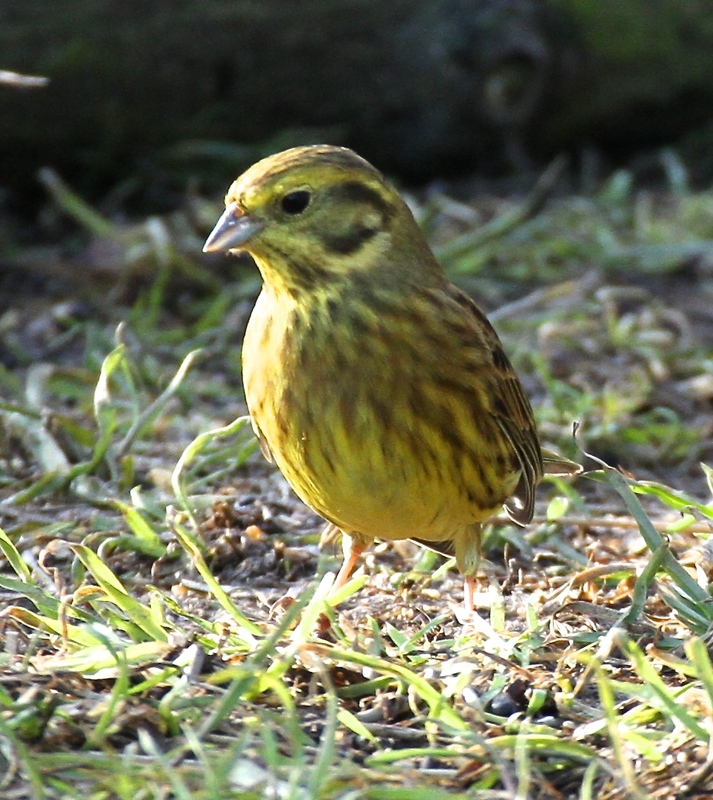 In winter they feed on seeds, in mixed flocks with other small birds, and are less brightly coloured than in the breeding season, but the males are still beautiful, as I hope these photos show. (They are fairly timid so were quite a long way away, hence the slight blurring!). Now on the endangered Red List due to changing farming practices, they rarely come to bird-tables, even in rural areas. 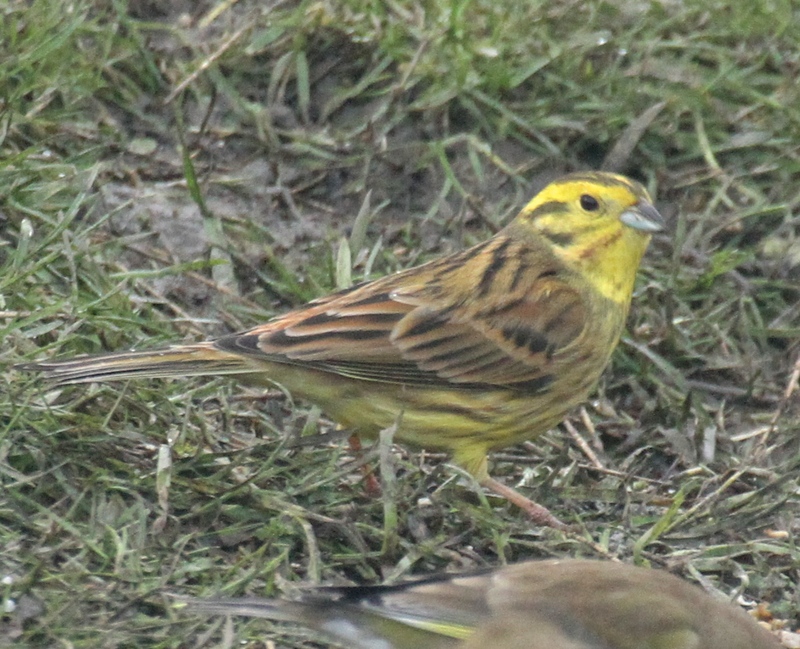 Yellowhammers are one of the Buntings, and the name is thought to derive from the German for Bunting- ‘ammer’, so I read anyway! The Yellow bit speaks for itself, even in winter. Conditions: Gusty wind, hail showers and sunny intervals with snow due overnight. Temperature: Max 7- Min 0C. Coot with its distinctive white forehead. A bird of prey spooked 150 Coot (not all in shot) and they all ran off together, but none took to the air to escape. Coots typically flock together over winter. vegetation, they dive for insects and their larvae. 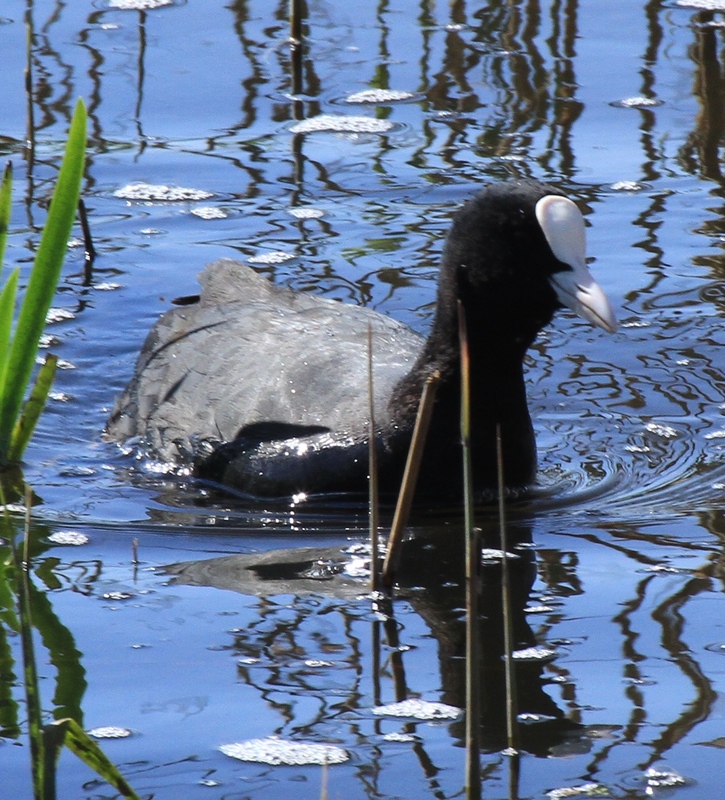 Coots numbers increased once their eggs were no longer gathered, in huge quantities, for human consumption. 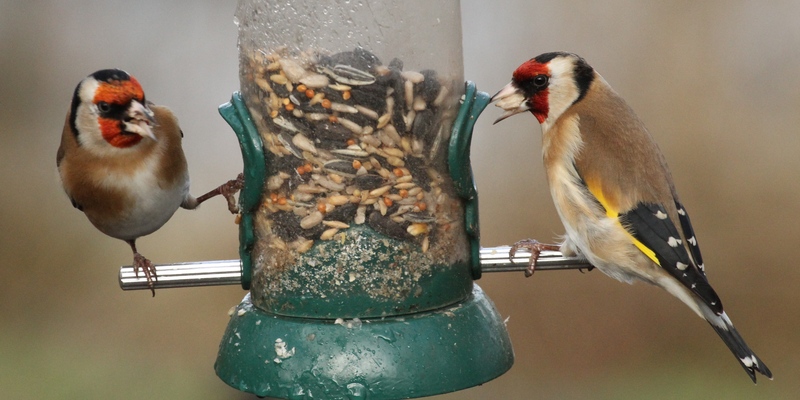 It’s not too late to do the RSPB Garden Birdwatch if you haven’t already spent an hour recording the birds in your garden. 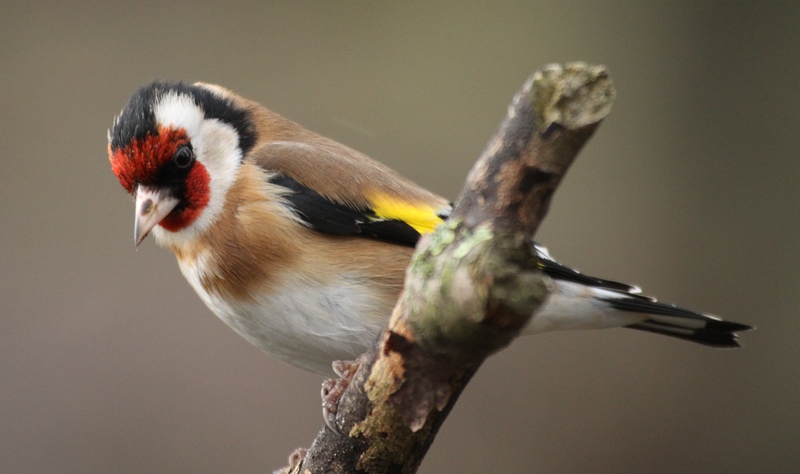 It doesn’t matter how many birds you get, it is the recording of species over time that is important- details of how to do it on the RSPB website. Conditions: Milder, with cloud and some sunny intervals. 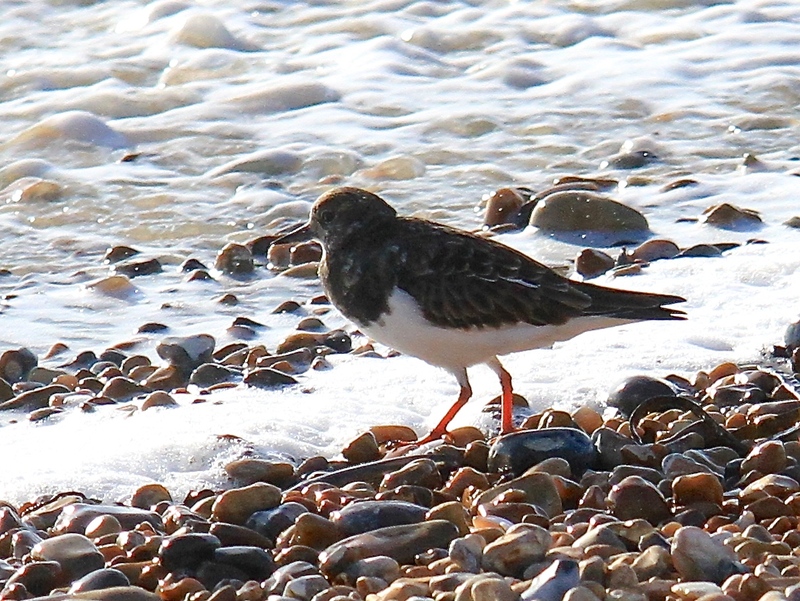 Temperature: Max 7- Min 4 c.
Thirteen Turnstones feeding along the waterline and shingle! away from me. I know Sheffield is not a good place for access to the coast! Although we are only 29 metres above sea level at out lowest point (the lovely Blackburn Meadows Nature Reserve) but we are nearly 60 miles from the nearest beach! 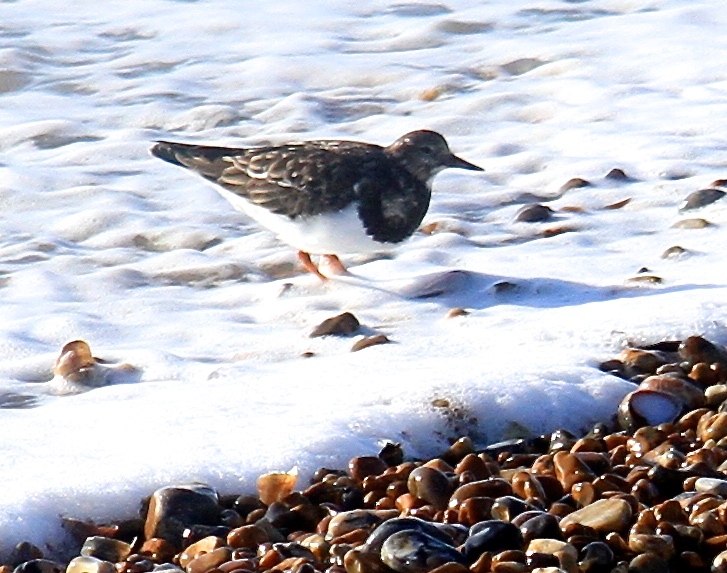 However, wherever you live, if you can get to a beach this winter you are almost bound to be near some Turnstones. 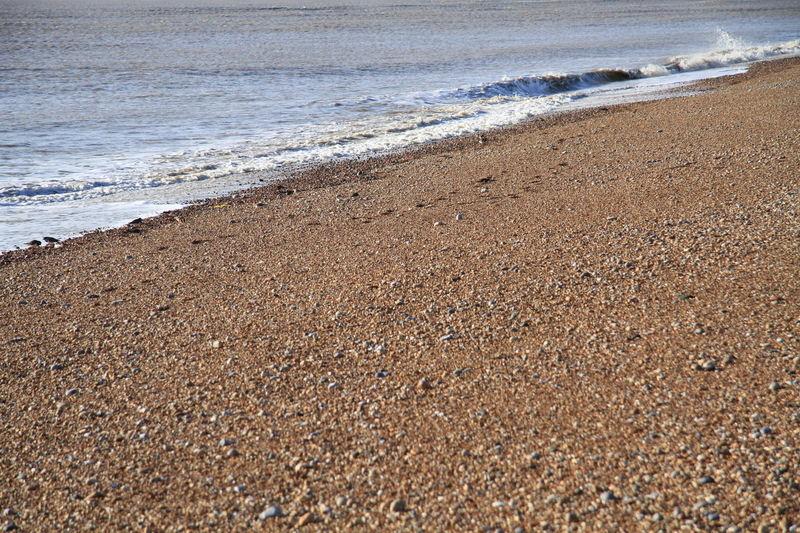 Whether you see them or not will depend on how well you keep your eyes peeled- feeding on shingle, or seaweed piles, they are easy to miss. Conditions: A milder day, dry and cloudy. Temperature: Max 8- Min 6C. 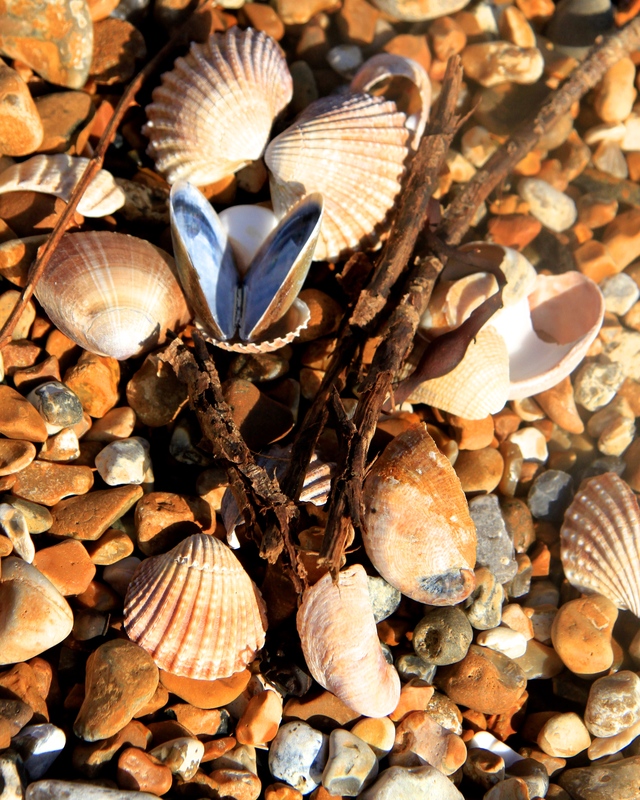 They find food along the waters edge, as the tide goes in or out. 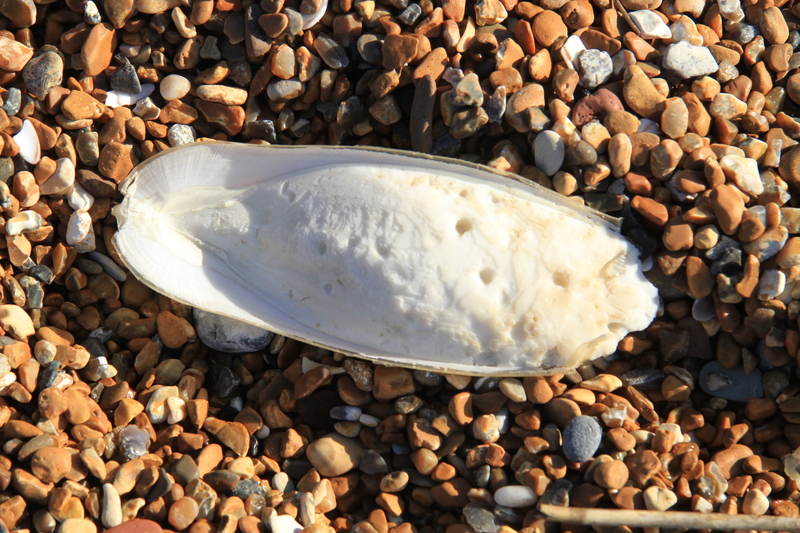 Cuttlefish internal skeleton that washes up on beaches once the Cuttlefish has died. 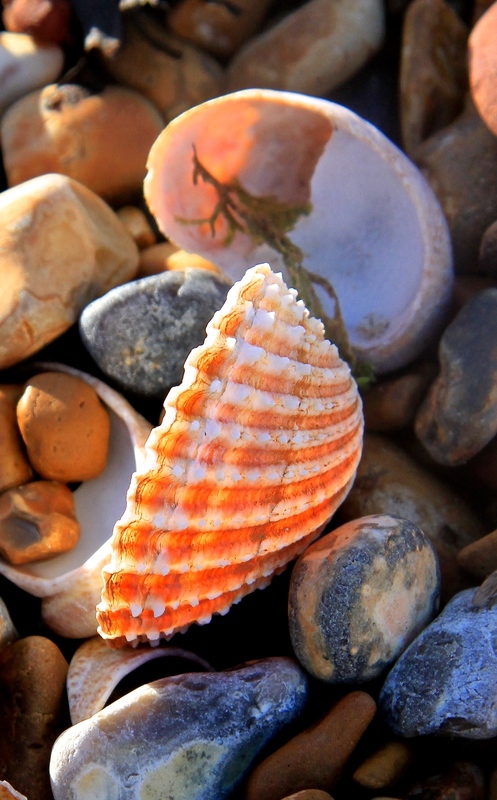 resemblance of the hearts chambers to the shape of cockleshells. Conditions: Apparently a little less sunny in Sheffield than the continuous blue-skies in Sussex but a fine day. Temperature : Max 6- Min 1c.